Marino Ballena National Park is just one of Costa Rica’s protected zones where visitors can take in fresh air, and view lush tropical plant life and a wide variety of birds and wildlife. There are many activities to choose from at this park, which features a large green forest that borders a lovely sandy beach. It’s located in the Southern Pacific portion of the country and encompasses 270 acres of land. What makes this park unusual is that parts of the ocean are also included in this park, with over 5,400 marine hectares being protected. This park is located about 180 km southwest of San Jose, only a day trip away. This park is one of the newer officially registered parks in the country, as it was registered after 1990. 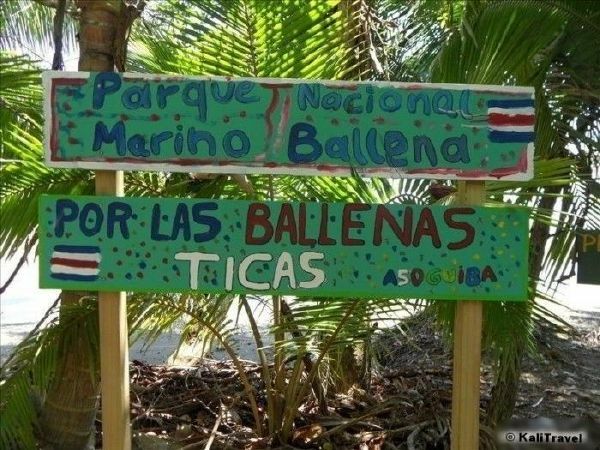 You may be curious to know that this park has one of the largest coral reefs on the Central American Pacific side. Visitors to the park can participate in many water sports, such as swimming, boating, and scuba diving. There are rocky reefs filled with sea life where you can enjoy excellent snorkelling and scuba diving. Camping is allowed within the park if you’re interested in staying for any length of time. There are also many hotels and rental homes in the nearby communities of Uvita, Escaleras, Dominical, and Ojochal. Whale watching is a popular activity during the months of December to April. This is when the humpback whales migrate from Alaska, Hawaii, and other closer destinations, down to Caño Island, located off the Osa Peninsula. Viewers can see the whales from several great vantage points along the beach, or hop on one of the many boats offering these types of tours. There are many beautiful beaches in the park, but the Whale’s Tail beach is not to be missed. The Whale’s Tail is a natural sandbar which looks exactly like the tail of a whale when seen from above at low tide. You can walk almost a kilometer into the sea onto the Whale’s Tail, just make sure to visit the park when the tide is low. The beach has soft, light sand, and is more protected from waves than some of the other beaches in the area, so it is a great beach for children. The Marino Ballena National Park offers horseback riding to help visitors to see more of the park during their visit. Some other regions of the park you won’t want to miss include a visit to the mangroves. Here you’ll see many marine iguanas and Hawksbill turtles. There is also Ballena Island which is a two mile trip from the beach. Visiting the island by boat or SUP might give you a chance to see marine life, such as dolphins or whales, from the water. The Park connects with the town of Uvita, which is a commercial center in the area. There are many tour companies in Uvita who can provide more information about activities in the park. We recommend Costa Rica Dive & Surf, which has a shop right next to the entrance to the park. There are also numerous restaurants in Uvita, as well as groceries store, banks, pharmacies, yoga studios and more. 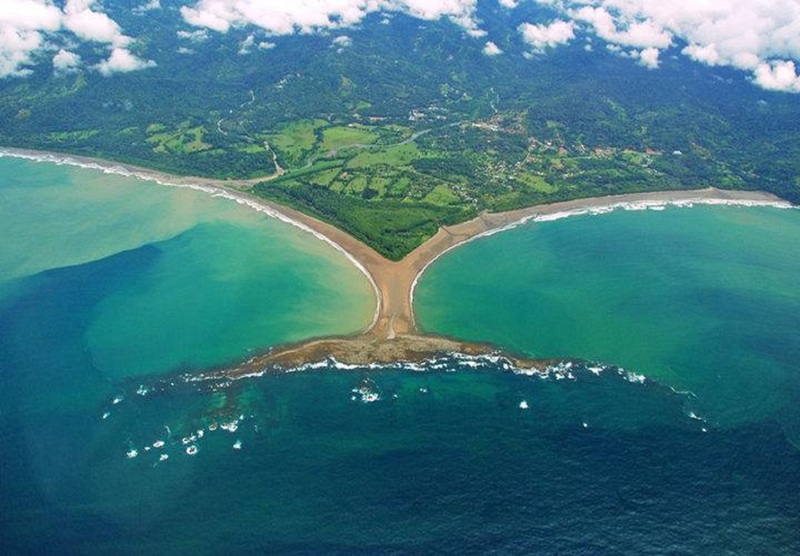 Whether you are living in Costa Rica or just visiting, a trip to Marino Ballena National Park will be fulfilling. It is a beautiful place with unique natural features and excellent opportunities to view marine life.